Ariana Grande attends Billboard Women In Music 2018 on December 6, 2018 in New York City. But as has been proven by far too many cautionary tales, getting a tattoo in a foreign language requires due diligence. In other words, it’s important to understand not only the characters, but the context of the language you’re using. Otherwise, you’re liable to end up with something inaccurate—or worse, utterly ridiculous—permanently etched into your skin. 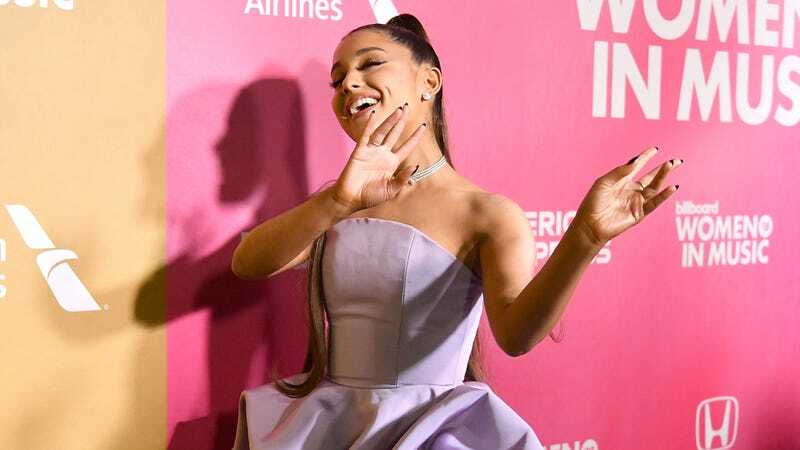 Entertainer (and multiply-accused appropriator) Ariana Grande recently found this out the hard way when she attempted to commemorate the success of her latest single, “7 Rings,” with a Kanji palm tattoo of the song’s title, using what we’re sure she believed was a direct translation. That’s right, y’all. Your girl Grande basically got “hibachi” tattooed on her hand. And yes, we laughed. Heartily. Japanese speakers on social media were quick to point out Grande’s mistake, not only posting pics of exactly what her Kanji really means, but noting that her ignorance had basically rendered her a cliché. Not her “Best Mistake,” as it turns out. But whew, was this good for a midweek chuckle. Ariana, thank you. Next. Updated: Jan. 31, 2019, 9:40 a.m., ET: According to Cosmopolitan, Grande finally had the genius idea to consult with her Japanese tutor, simply known as “Ayumi,” who helped her find an amendment to her incorrect ink. Grande unveiled her “slightly better” new additions later in the evening, jokingly adding the caption, “RIP tiny charcoal grill. Miss you man. I actually really liked you.” Frankly, we think she should’ve taken the L and kept it. Updated: Jan. 31, 2019, 12:24 p.m., ET: But wait. Hilariously, there’s more. According to Page Six, Grande’s revised tattoo is still incorrect. In fact, it may be even more so, as pointed out by several people on social media. See? Ariana should’ve just sat there and eaten her BBQ. You Do the Math: Can You Spot the 7 Layers of Appropriation in Ariana Grande’s ‘7 Rings’? Did Patti LaBelle Just Cordially Invite Ariana Grande to the Cookout?